I won't be surprised if you told me that you get scared of making a loss or simply the thought of taking a trade makes you shiver. A lot of traders suffer from this syndrome. In fact the only thing that stops many of traders from becoming successful traders is this factor. The Fear Factor. But there is a simple simple remedy. If you want to experience real Forex Trading Success and Manage Consistently Profitable Currency or Stock Trading Business read below. You have to get rid of the fear factor. There is a simple formula I'd like to share with you. Its worked for me and it worked for a lot of other AIMS Traders. Hope it works for you too. Step 2. Demo Trading: Almost all of the forex brokers have free forex trading software available. So start trading with aim to double your 5K demo account. Double it using correct trading. e.g. Using our Classic Trading Methodology. AIMS Stress Free Trading Classic Strategy. Note to Remember: No lucky trades are allowed. You must trade properly and take trades and manage them using the rules of your proven strategy. Like Mark Douglas suggest in his book Trading in the Zone, Don't judge individual trade judge a bunch of 20 trades and then see how many of those trades you took were according to rules. Eliminate those where you made a mistake. 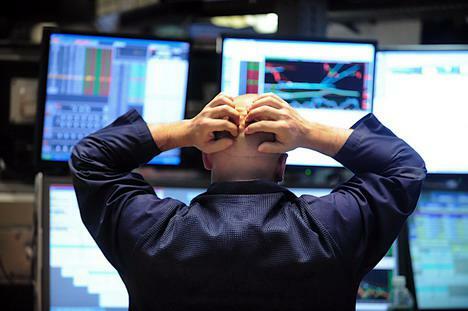 You cannot allow yourself more than 1 trade in 20 trades where you made a mistake. A Mistake is not following your trading rules. Step 3. When you've achieved Step 2 its time to do it again. Oh yes, time to double it one more time. Step 4. this is now an important step. When you've achieved Step 2 and 3, its time to start micro lots and see how it goes. Micro Lots are smaller lot sizes that nearly all brokers now allow you trade with. If you still feel fear, go back to demo. More on this Inside our Forum at www.AIMSForum.com (Members Only). To buy membership please click this link Buy Now.